When it comes to over-the-top (OTT) viewership, the streaming media industry as a whole has a surprising prediction for the traditional broadcast and cable industries: OTT viewership will exceed traditional viewing by 2020. 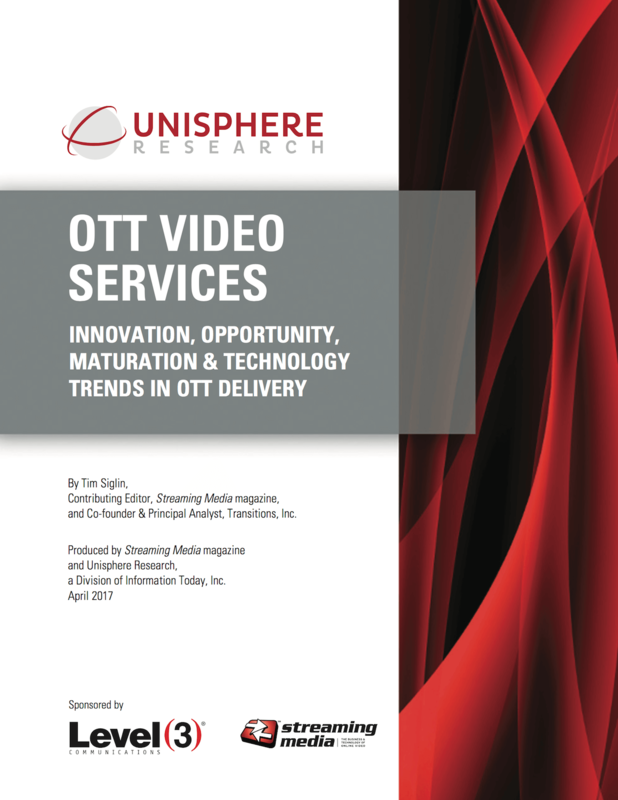 This is just one of the findings reported in a new report, titled OTT VIDEO SERVICES—INNOVATION, OPPORTUNITY, MATURATION & TECHNOLOGY TRENDS IN OTT DELIVERY. The twelve-page report also highlights several other key trends, including further analysis of the business and technical challenges facing those companies already offering OTT services—whether as a pure-play OTT provider or, in a growing trend, hybrid OTT delivery providers, offering OTT alongside a traditional form of media distribution—versus those that are only in the planning stages of OTT delivery. Opportunities abound, and the report offers insights into technologies such as 4K streaming, virtual reality (VR) video, and the longevity of 1080p delivery. Download your copy today!